The Pink Full Moon in Libra…Love …Love ….and more Love! It is about getting back into balance and harmony with who you are. When we move off our higher path something will be there to put us back into balance. We do stray from our Divine Self even though its the most beautiful energy we will ever know. We will still sacrifice ourselves for the acceptance of others and to be seen in a certain light, essentially stray. Libra cares about what others think, they are constantly pleasing others and want a “good” image. This image we wish to uphold can cost us our truth. What masks do you wear at the cost of your Divine Self? What do you pretend at the cost of your true essence? Who are you trying to bend over backwards for or please at the expense of suppressing your true light? Who are you trying not to upset? Who are you trying to hide things from? As we see things more clearly it makes it harder to pretend. When we know better we can really feel the unalignment when we make choices that shut us down. We can feel the difference when we hide or keep our heart closed verses expand the heart to open and evolve our soul. It is getting really hard to pretend isn’t it? Love is the most amazing energy you will ever know. Real Love is deep and it is unconditional. Libra is a lover and romance is its specialty. This romance is for you. The way you love yourself and life will reflect in the very kind of people you have drawn into your circle. Do you love deeply? Can you open into the dance of romance and the divine? Can you trust the dance and that it will lead you into a far better space? Making a decision to trust this process and open will serve you well. When we go against the flow of life we tend to feel heavy and stuck. Who has spirit brought into your life right now at this very time? We are face to face with some of our most greatest teachers. I encourage you to dance with them and with life. Open into the deep truth of love. What if you opened more to love? What if you trusted love? What do you think will happen? Love is who you are and it is calling you home. You will have beautiful mirrors of individuals right now that are here to mirror divine love to you. Wonderful! You are calling it to you, some of you screaming it! Pleasing others at the expense of your light will fail you. Make the one you want to please the Divine self. Take off your masks. This is not a time to play small and deny who you truly are. No one is that important that you have to hide the very essence that you are. This is a beautiful dance back home and one that is making you uncomfortable because you know deep down you want to be free. Our light body is equipped with superpowers and I feel this energy now is about alchemy and really owning our abilities that we have surpressed. We are extraordinary beings and we can and will do extraordinary things in this lifetime. We are remembering the divine that we are and that we are no different than our great teachers of the past that did miraculous things. We are opening massively to our highest potential and for most that means a radical change! Most of us have made radical changes in our consciousness and we will keep going! We can move energy and change energy! We can do greater things creating from our heart. Love is powerful and like a divine partner it won’t let you walk away from home that easily. We will choose what serves our highest path and we will feel very unbalanced when we don’t. The energy will be that strong. Imagine falling into the deepest love you have ever known and it is with the essence of life itself. Imagine right now what it would look like to open your heart. Feel it in your chest alive and beating and opening. Pleasing others will only lead to more suppression. Pleasing the divine will lead to freedom. Your choice, your creation, your experience, but don’t wait too long. This is a time in history that will be so expansive that you won’t want to miss the ride! Be vulnerable and allow yourself to be, let go of your indentity and be love. What would love do? In your situation at present what would love say and what would love be? Romance the divine! Let that heart open wider than you thought possible! Doesn’t it hurt keeping love all locked up? Free yourself and enjoy the dance with romancing the divine. Libra Moon is a perfect time for relationships of all sorts as libra brings harmony and balance back to our souls and shows us the magic and beauty of life. Relationships will open deeper and you may feel a little more playful with any matters of the heart. Let yourself harmonize, the alchemy has always been inside. New moon in Aries gives us confidence that we may or may not be used to! We are so so ready to charge ahead even if it frightens us. New moons as we know are about new beginnings they always bring in new energy for us to work with and integrate. Aries is a powerhouse of fire and adventure! This mixed with our Spring energy gets us fired up for summer coming! This moon I feel solidifies what we have been wanting to do, it gives us the initiative to feel confident and do it. It is a great time for new projects, new prosperity, adventure, travel, starting a new job or project and trying something exciting that lights up your heart! It is a time of spotlight and feeling charged to jump in! The power of Aries can also make any emotional debris surface in forms of our old patterns of trantrums or childlike behavior. It can flare up the leftovers of our childhood fears that hold us back from being the superstars we are and want to be. We are now moving forward, we are officially into the new paradigm and we are actively participating in it! As we do this all the… I want to call it “junk” in our DNA is exporting because we can’t function efficiently in the new paradigm with these old beliefs and wounds. What happens is the wounds get accelerated and amplified now! So its best to let go and release all you can that is causing you to feel weighed down or heavy at heart. Our beliefs are so powerful that the universe literally shapes our reality around them. Really ask yourself is that belief worthy of staying with me? How does it make me feel? Is it even true? Does it expand my energy or restrict my energy? Ask these things RIGHT NOW! We are expanding and with expanding comes pressure in our energy fields when we are not evolving and freeing ourselves from old thoughts, feelings and energy. Aries wants to run with it and jump into the sea and swim in the possibilities but we will certainly SINK if we jump in with our old baggage. If I jump into water with 4 backpacks on filled with bricks what do you think might happen? Do you get what I’m saying here? It is time to swim and be free however we have to leave our weight behind! It truly is a sea of unlimited potential and possibilities right now and we are co creating as we go. Last moon was a reset button and now we are charging ahead! Be mindful that as we move forward your glitches will show up fairly quickly in your new manifestations and creations. That’s why it has been so important to heal ourselves this past decade because we want to really enjoy this once in a lifetime shift that we are experincing. Its like a party your planning right….you want to be showered, outfit picked out, hair done….you get the house ready, you buy the food and have music so that you can enjoy it more. That may seem like a lame example but it is like that~ If we heal before hand we can enjoy it more rather than be forced to have chaos when the party starts and we aren’t dressed or showered and forgot to get the food and everyones coming over….can you feel me? if we work on ourselves and shed the pain now we we will enjoy creating more with this energy available to us. It is here in full force! If you are still holding on to judgement of yourself and carry it over into this new energy you are going to be miserable, you will be judging everything because it will amplify. Everything we are thinking and believing is amplified right now! It is also a time of spontaneous healing so if you are struggling with something the energy can shift that struggle in a matter of minutes if we let go. This also will be useful in our time of complete chaos with the world and all the things crumbling within it currently because we will need to create that quickly to transform the other parts of consciousness destroying themselves and others. Our vibration will be what saves us during this massive shift happening. The power here with this New Moon is that it’s action time! We need to move forward with or without the baggage. The weight we decide to carry into this new chapter will be times 100 if we decide to carry it in. Now I don’t know about you but I rather use my energy to make some miracles than hold on to my dead weight. The whole world is changing and the more of us that step into this light and energy the faster it can transmute the old world. Its literally happening before our eyes. Its like watching people step through this bubble into the next dimension but its all existing at the same time. Absolutely mind blowing for me and exciting to see this as I have been on this journey for over 15 years and here I am witnessing what I saw a decade ago. Wow! Let this be the time for you to find your own super star. Discover your talents and joys and go do them! Do them for the world. We need you to step into what makes you happy and brings more joy to the earth. Know you can do what the divine intelligence is guiding and nudging you to do. If you feel stuck see yourself unstuck, give energy to the thought that frees you. You were born to be amazing, you were just told that you weren't. Its time to find your inner superstar. Its time for the truth. Shine that Light! Be an unstoppable force of magical, miraculous energy! Super full moon in Libra is actually better than I thought it was going to be, I was pleasantly surprised with the surge of energy that came in yesterday. I was in my car and really felt the capacity of what we have to work with and I was singing with joy! I am definitely a feeler as I know some of you are as well and I can sense the different energy waves when they come in. Some knock you off your feet in tears and others have you smiling ear to ear! This was a good feeling as I could sense the changes in consciousness happening and the shifts that are occurring are leading us in a positive direction. As you know we are healing our DNA. We are healing and releasing lifetimes of energies and programming that has held us back from creating a peaceful place to live. A peaceful place within ourselves and a peaceful place in the world. We have been kept from our greatest power for far too long. If they can keep us in our old beliefs of the world they may still be able to run it….but there is a new story emerging and that is the one of the evolution of our consciousness. We are gaining access to our own power within us that creates our world. The light we all carry inside is connected to the light inside of everyone else, and together we are yes ….God. Surprise Surprise God is not outside of us. The secret to life is being revealed and many are scared because as the truth is clearer and clearer we begin to realize just how much of what we’ve been taught was not accurate. This will cause many to feel lost but also find the real peace which is within. Libra brings peace and harmony amongst the chaos. We have our hearts to lean on for peace and connection in a time of uncertainty. Making peace with ourselves and others will be key in our movement forward. Why not have harmony? How can you have more peace and harmony in your life? It may be very clear today what things are out of balance and need tweaking. We are sharp to notice what’s out of balance right now and how we need to shift a bit to have a more peaceful flow to our life. You may think about where and what you really want to spend your time doing. What are the things you love most? The people you enjoy the most? Who do you just love being around? What do you absolutely love doing? What is a beautiful life to you look like? I feel you will get a really good sense of balance for yourself and have peace making those new changes. You will finally feel ok to let some things go for good because they are just not in resonance anymore and you will do what you have been thinking about. You will have the urge to create a more peaceful and balanced life. The up side of this moon is the peace and new beginnings, that fresh start and spring energy of the equinox. Its a rush of love for life! It’s that spring fever and a time of waking up after hibernation. The same time this new energy surges through you, that old you is on its way out! This is a purge of who you were and a final cleanse of the old you before we hit the reset button. A flush on the programing of your DNA . Thank you! Some things just can’t exist in this new energy anymore and if you happened to notice you may even see your “old self” super clear and be completely “over” yourself and how you use to respond. The new story is being told now and remnants of the old one are like flies buzzing by your ear! More of a nuisance than any real harm at this point for some of you. Full moons are always a great time to let go, heal ourselves, and complete projects. This combination of the full moon on the first day of spring was quite unsual energy. It took the edge off of the purge of our DNA that was happening. I personally watched myself get triggered a few times this week and also had the gift in the same moment to see it very clearly! It was like it lit up and made itself completely obvious. There was not a chance I could miss the gliche in my energy! “Cancel Clear Delete.” It passed very quickly. I think this gift of being sharper with our senses is really making the old programs stand out so that we can terminate them. You can really notice them now in yourself like never before and I think we are all ready to say that last farewell to who we use to be. R.I.P all that no longer serves the highest expression of who we are! In general you should feel lighter with this energy and be a bit more wiser. Your senses are heightened from last moon and now you have less of those denser energies holding you down. Those of you tackling your inner healing are really loving this right now as you are starting to see the miracles you are making! Those of you just starting the healing journey may have a bit of a wobble but will find your center soon enough. Keep connecting with your heart! Remember choose peace whenever you can and try a different approach. Libra is keeping it light for us and showing us balance. Now its full speed ahead! Step into who you are meant to be! No more judgements and over analyzing yourself and if your good enough. You are enough, you came here with a light inside that is dying to shine! Go for that dream. Your dreams are instructions from the higher intelligence. We need you to believe in yourself. Rest in peace those days of our past! We love you. We forgive you. The new mantra is “Peace” at last. P.S. I will write about the physical Earth changes that are happening very soon and how we can prepare energetically and physically. New Moon in Pisces "Sensitive Soul with a New Story"
The New Moon in Pisces opens us deeply to our intuitive abilities and if we didn’t have much empathy before we may have gotten a good dose of that empathy hitting our hearts right about now! Feeling others comes naturally for some and they have learned to adjust and adapt to this sensitivity. Others are just now getting a “feel” of what it is like to FEEL! Someone may apologize to you or you to them because we have opened into feeling others! Many walk around with their hearts wide shut and that is not very productive with evolving is it? We need to feel in order to understand and connect with one another. We need to allow ourselves to open our hearts and feel others. This empathy factor helps us navigate better behavior and connect to others more deeply. It also helps us connect with ourselves in a more loving and compassionate way. Pisces can bring up emotions that we tend to get lost in if we don’t let go. We can get frozen in time with our deep melancholy feelings that are unresolved, it can make us feel heavy and stuck. We are learning how to feel so that we can heal. We can be highly sensitive to everyone’s feelings right now so boundaries may be appropriate. I know I have had to retreat in my own way to adjust and adapt to my new sensitives and it can be a bit overwhelming. You may feel like you can hear people thinking! Geez is this interesting and as we evolve it will be more developed! To feel someone else’s emotions and have their thoughts in your head…feeling a bit sensitive? I think as our abilities get fine tuned we will be able to feel more comfortable with trusting our intuitive abilities. Thanks to Pisces for heightening that for us and setting us straight on our spiritual paths. This is why boundaries are super important right now. We need the space to integrate everything we are healing and processing and need time to adjust to the energy. It is very easy to get overwhelmed if we aren't being mindful of our needs at this time. Patience with yourself. Mercury went retrograde yesterday which brought up old patterns again. I know. How many more times…. Just to check and see if we really completely learned what we needed and fully integrated the lesson. Are you really done with that? Or do we need another go at it? Repetitive patterns are just that because we haven’t learned from them previously yet! So the question is have you had enough of that person, or situation, or behavior? Are you done with that story? Have you learned anything? Do you react differently? Are you complete with that experience? Many of us are surprised when we find ourselves in the same rodeo, but really? If you notice that you are in the same situation again~ step away, do something different. Respond differently this time! Try a new approach and let your past be just that, your past! No more ferris wheels, gerbil wheels, race tracks or merry-go-rounds! Gently decline from your own maddening ground hog’s day and do it differently! Lovely Mercury! Let’s learn! Let’s Grow! Let’s change the story! This is a time of ending deep emotional soul karma. Every soul that you have been engaged with these last few years was very important for your healing! This new moon opens us up to tuning into our experiences deeper and feeling what is the way out of our past cycles. Clear the energy! Sage the story! Most importantly do not forget to stop and give thanks to the wonderful and beautiful souls that have committed to being a part of your DEEP KARMIC HEALING, they truly deserve a round of applause. They may have been some of the most challenging experiences you’ve ever had. We can use our sensitivities to help us reflect and understand why we were attracting what we were and why we will no longer stay in our past stories! We also may not even have the energy anymore to engage in some of these past dramas! That is a good sign. Again have patience with yourself and reflect on who has come into and out of your life in the past few years. They are part of your awakening. With all the emotion rolling around it is likely many will get caught up in fear and I offer you the Peace of Pisces New Moon to allow you to float through the thick of it and trust that the path will show up for you and be clear. Now is a time to trust what spirit has guided you to do and open to letting life work for you. Get aquatinted with your new sensitives and intuitive abilities and use them to help navigate your next moves. You are a miracle in that body and your light is unstoppable. When it gets dark in there turn it on and let it guide you through these times. Trust your heart and open your soul to a life of infinite possibilities! You can change your past! Peace is something that is very important for us to have as we choose new paths that align more to who we are now and what we really came here to do. No one can take your path away from you. It is your path and your unique journey. Have peace with this. We all have a beautiful story that awaits us if we choose. We are creating it as we go. What will be your story…. Full moon in Virgo brings out the critics! Our inner critic can be the biggest one of all and Virgo knows this oh so well. Virgo moon shows us where we have thought less of ourselves and who we have attracted in our lives to mirror these overly critical thoughts. The spotlight is on our judgments, our over thinking, our worries, our overly critical thoughts about ourselves and life. It’s shining down on our need for control and who better to point these things out than lovely Virgo who has a perfection for pointing out the every little detail! Perfectionism used in a balanced healthy way to correct our energies and get back in alignment is a sure win. We are in a place right now where we can “SEE” our enabling patterns and know where we have fallen short of what we are worthy of. 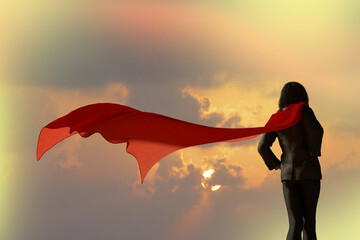 Feeling worthy is something that can be challenging but we all need to go into this energy deeper and do a review on what we are truly worthy of. Are you settling? Are you feeling like you’re not enough? People are brought into your life to mirror things to you. They mirror patterns, behaviors, and beliefs that we are holding inside ourselves and by interacting with these individuals they help these very patterns break free. We get triggered because we need to heal. Guarantee this moon will help show you where you need to treat yourself better and stop allowing certain behaviors or energies in your life. We allow ourselves to be treated less than what we are, less than what we deserve. Mostly out of FEAR. Fear we will loose something or someone or be judged. This is simply old patterns and imprinting. The energy is emerging and spilling out so that you see and shift it once and for all. Our light is so amazing and we should have this amazing energy reflected back to us. How can we have it reflected back to us if we don’t feel amazing inside to begin with? We need to value ourselves more than what we are and what we are allowing in our life. As long as you judge yourself there must be someone out there to pass the judgement on you, as long as you ignore yourself there must be someone out there that will ignore you, as long as you think you are not good enough someone must exist to make you feel not good enough and affirm your thoughts and feelings. Do you see the pattern? It is a world of reflections, a world of mirrors and they are getting more intense friends! We need to see these behaviors that are not serving our potential and let them go. We will have the same experience and attract the same energy unless we truly change the thinking. Giving energy to someone that isn’t giving it back can be draining if not down right frustrating. The one taking the energy constantly also will not be happy because their is no balance. Knowing your own worth and who you really are will help you make better choices in who and what you allow in your experience. This will help all of us to move forward from supporting any consciousness that does not value the light within themselves. The person allowing themselves to be treated poorly is just as dysfunctional as the person treating them poorly. We need to break free of the endless cycle. You will constantly reject and push away authentic, real love if you continue to stay in these dysfunctional patterns. You will block what you are desiring if you cannot wake up to the very thought pattern and behavior that is hijacking everything! Virgo full moon is an awakening to see yourself clearly, to see the details of why your not moving forward. To really look closely at ourselves and re-evalute what is going on with our inner psyche. Our potential is dying to come out, but it cannot and will not if we will not change our ways and let our over reactive inner critic lay to rest. Accepting who we are and loving the amazing light inside of us, that is worth more than gold itself, is so crucial right now in changing the planetary consciousness. We are walking miracles with a super powered light inside of us! Imagine if we all knew that? How would we treat each other? How would we see ourselves? If we really knew the truth of who we were we would all CHANGE NOW. Abuse is an energy that takes up many forms and many of us are used to it from others, however with this light shining brightly on these dysfunctional patterns from dear Virgo we are awakening to dissolving the dynamic. The most crucial of this abuse is the abuse happening to the SELF. We abuse ourselves with our thoughts and our old patterns we stay in. We need to change our criticism into compassion, our judgment into love, and our worry into trust. We need to change our short comings to our successes and see our Self Worth. Over these next few weeks you will change, you will see yourself, and you will be busting at the seams to let out this light that lies dormant inside you. New Moon in Aquarius is a love potion for you! A cocktail of all your favorite things! It also brings the courage to actually try it! If it hasn’t hit you yet just wait for it. March to the beat of your own drum! Why not fall in love with yourself…your Higher self? We all need to take our places and express the amazing talents we are coded for! We all have something to share! I was tripping over my energy field all day and felt so much pressure, it was quite uncomfortable til about 10 pm. I suddenly felt a pop! Like I popped through a layer of consciousness, another bubble of who I thought I was… and more into who I really am. And it was much lighter! This energy was like having that crystal blue, almost perfect majestic ocean wave rolling in and ready to take your surf board. You’re nervous and excited, you’re clinging too hard to the board and you roll it over…. almost a wipe out. The perfect opportunity! All you really needed to do is get out of your head and into your heart. Just trust it. Trust the Flow. The magic of this wave is that it grabs you and places you right where you need to be! Back on your board! RIGHT SIDE UP! This New Moon is a way home to help you get more in tune with yourself and that connection you have with that amazing YOU thats been covered so long with these dense energies. It is a super powered jolt to that light source, to the source of who you are. It will matter not what anyone says, you know now your light can no longer hide. What brings you joy is now obvious! It is like sipping a cocktail of all your favorite things and remembering the way home for a moment. Sweet victory! I’m HOME! A sign that the end is near and the realization that there was never an end all along. This New moon is beautiful for allowing that which makes you light and free to be present, releasing those past culprit energies of doom and gloom, doubt and fear, guilt and shame. This Aquarius moon energy marks the beginning of the end that never started. It is the constant of what has always been and will always be. It allows what is heavy on your heart to fall away and get that spring back in your step! It is an optimistic outlook on things, the cup is half full perception that is much needed in the world we are in today. Again if it has’t hit you yet, it will just wait for it. Our hearts are so excited for us to start listening to them, they are equipped with a highly evolved technology already programed in our DNA waiting for the most opportune time to be expressed. It is here! The time to evolve, to live a more intelligent way, through the heart! Follow the soul’s voice, that voice from within and the connection with the Infinite. Thank you Aquarius new moon for that boost of confidence and the assurance of our brighter future ahead. Cheers to aligning with Divine Order and a SUPER POSITIVE CHARGED HEART. Full Moon, Super Moon, Blood Moon, Lunar Eclipse! That is a hell of a lot of energy wouldn’t you agree? This moon is in Leo so a little fiery as well! Unlike the energy of the New moon back on Jan 5th where we felt all our potential and could see our dreams and creations of what we wanted to do, this Full moon brings all the very energy that is blocking that amazing potential. The energy and alignment of this full moon is intensified and creating a purge or reset button for us so we can begin anew. Fear is a vibration that will not serve us in the future. It really does not serve us now either however we have created a comfort with it, a codependency that we can’t seem to shake. The frequency change on the planet will cause us to feel more intense in general thus amplify our fear if we wish to live there, or amplifying our love if we wish to live there. We simply cannot operate from this vibration of fear and also be aligned. We will have to choose one path or the other. Fear makes us feel stuck and it can paralyze our human bodies. It can feel heavy, shut down our heart and stop us from evolving. Fear of the unknown or embrace whats to come? You decide. The frequencies are changing with or without us and many are leaving at a rapid rate. We can start flowing with the divine intelligence and start operating as one organism or fight it and go down with the ship. Think about what you were creating at the beginning of the year. It was very powerful and sets the tone going forward, we were excited, hopeful, dreamy, and ambitious. Now we are feeling the very exact thing WE MUST CHANGE OR RELEASE to have those dreams come into form! The blessing of this blood moon ~lunar eclipse is that it has the power to bubble up and purge all those energies of fear, self doubt, judgment, regret, guilt, sadness, loneliness, rejection, and abandonment that are blocking the potential you saw on Jan 5th! This moon is shaking things up and in a good way. I find it interesting that this moon is also in LEO so we are in store for a BIG transition both energetically and physically. Many religious cultures see this very moon as the apocalypse or the end day. Things are ending and that is why we need to diligently let go, evolve and move into a higher frequency. The only thing that will truly save us is our ability to evolve and shed these lower freqencies. We are headed into a new way to live and operate, we can’t do it in the old paradigm energies. We are becoming lighter literally if we let ourselves open and expand. Stop resisting the process. We are made for more than how we are living and this moon shakes that up in us. We need to purge it, release it, and finally shift ourselves. An abrupt wake up call is in store for those not moving forward. All things will start being more abrupt as we wait and sit and stew. The lunar eclipse is CHANGE and the blood full moon is NOW. You may experience a sudden event or happening that jolts you into your true senses and gets you on your path. The Earth is also changing with this frequency and it will be unsettling as these physical shifts occur. I have been feeling an earthquake for about 2 weeks now and it has challenged my fear to release and find peace with the process of being prepared with ease and listening to my infinite intelligence to guide me through these times. We all need to help create the new reality! Our old one is losing its form fast. There isn’t much time anymore, we are full speed ahead. With this~ is our own DNA changes and creating a new human being. One that has telepathy, intuition, infinite intelligence, telekinesis, and the ability to teleport and time travel. We are changing very very fast. Keep healing, releasing, and letting everything go that doesn’t serve your highest form. You are not your past nor can you go back to your past and expect to live that way again. It is done and no matter how hard you tried to keep what you knew in place and cater to the ways you used to be ~ it just won’t work. The faster you open your heart to what is, the faster you will end your suffering and move into the next dimension. We are headed into a world of infinite possibilities! We are birthing a new HUMAN BEING as we speak. Use your time wisely and be in company of those that truly love you and encourage you to evolve and grow. We will need extra support during our growing pains. When we come together with others that are of our similar vibration we will experience the amazing new energies and abilities that are already available to us. We just have to OPEN to it! May you be so called to your path that you give in to the force within you and commit to the “wise you” that knows the way. May you be so compelled to align that you would do anything to release what is blocking you. May you be so hungry for peace that you will stop at nothing to create it for yourself. May you yearn so much for a deeper meaning that you move past the superficial into the deep truths of who you really are. Powerful week with the energy building for this Friday's total lunar eclipse. The longest lunar eclipse of the century. We will feel a turning point in our lives and for the world. Things we have been struggling with will reveal themselves in somewhat abrupt ways. Disagreements and separations are high but not a bad thing as we identify whats right for us, who we want to share our energy with and who is too heavy to hang onto anymore. If we can remind ourselves that challenges are an opportunity for healing we can approach this time with a much more enlightened perspective. Things don't happen to you they happen for you. They happen for you to grow. Things will shift from this energy big time this week and if you're ready it can break you wide open into a new way of looking at things. Perhaps put you in a new direction entirely. The energy is strong in that it will reveal things, deeper darker things can get uncovered, parts of our psyche that were hiding will get exposed. The energy gets you moving out of the old which can be painful when you are forced to let it go. It will abruptly throw you into unfamiliar territory where vulnerability will be inevitable but humbling. The human heart will take a hit but it will only hurt if we stay in old ways. The heart wants to break open and reveal things, the heart wants to expand. With very dark times comes a brighter light busting at the seams to guide us through. May the eclipse bless you with it's fierce and forceful shake of what no longer serves you, uncovering what has been lying beneath the surface in the deeper parts of our consciousness. Growing pains are now in full effect! We all have mountains to climb, with peaks and valleys, on our journey. Some days we feel like we will never move through our fears and doubts. They start to pile up and seem to get bigger and bigger until we have created a mountain of energy. This mountain of energy can manifest itself in numerous ways and forms in our life. Maybe it's an illness, back pain, or discord with a friend. Or maybes an atrocious debt, where we keep buying and spending more and more money until its past recovery. Maybe it's food and we eat until we feel bad about ourselves. Then we repeat the hopeless feeling of never being able to loose weight. Maybe we bury our feelings into drugs or alcohol, where one glass of wine a night becomes two and three. Or smoking once in a while becomes everyday and every few hours. Sometimes it's a relationship where we let unresolved issues build up. We ignore them until the negative energy is so massive and in our face that we can't move or make the break we need to make to heal. We do these things because we just cannot begin to even look at what we have created. We only see the mountain of fear and despair that we have let accumulate, without stopping ourselves to heal. We create this experience. We keep ourselves busy with shopping, chores and distractions to avoid the mountain we have created. The thing about a mountain is, as intimidating as it looks to climb; it sure is beautiful at the top when we finally arrive. The scenery is so vast and breath taking that if we pause, it will reminds us of just how small everything was. We all have our mountains. Our darkness is our ally. It can help us break free if we lend our ear to listen to what it has to say. Whatever you have created that is stopping you from being great needs to go. It is time to make mountains into miracles. The mountain of fear that lies within you, from whatever you are facing, has an equal if not greater amount of light. Its all energy. The miracle is the alchemy that you make, its the transformation of the energy that you create. There is nothing to fear! You are the miracle!. Whatever your mountain is that you need to face visualize it in front of you and hear what it has to say. Take it one step at a time. Your mountain is not to big to climb. The very thing you fear will take you to the top. The world is not the what it once was. We need to face our mountain and rise above. Wisdom comes in walking the path through your darkness and getting to the other side. Love and joy come from understanding why. We are all called to be alchemists at this time, to change what we have created that is leaving us behind. Your mountain is a miracle waiting for you to see, that whatever you created also has the power to set you free. May you be blessed with the remembrance of who and what you are. Our time together right now on this earth is magical. Life is beautiful... love yourself! Meditation can be 30 minutes or 5 — it doesn’t matter, as long as you do it. Your intention can be so powerful in those 5 minutes that it may be the energetic equivalent to 3 hours. The benefits of meditation are very impactful. Mindfulness meditation harnesses your internal power, transcending the normal confounds of time and space, and allows for old cell memory and emotional traumas to be transformed. Meditation is unplugging from one reality and creating another; to rest in, play in, heal in, love in, expand in, cry in; get clear in, and to be guided in. It’s your space to see and feel and CREATE in. Meditation comes in all forms, some guided, some silent, some chanting, and some to rap music. You can meditate to anything, anywhere. We all have different ways of connecting to our inner power. The important thing is that you’re doing it. My favorite meditation is running with my favorite music, I also love sitting in silence, both equally beneficial and powerful. Now go meditate and gravitate to what you want to make! Make this world a better place. If you would like a guided meditation, you can access mine on the meditation page. I have been feeling the effects of this moon for the last few days and really had a good long cry this morning. As we know full moons help us access our feelings and release them, but this moon has amplified that a bit. Right now all of us are feeling our inner pains, our sorrows, and where we have come short in the mix. We all have healing we are doing whether one talks about it or not we are all feeling the squeeze of this full moon on our hearts. Its like the energy is wrapping itself around our hearts and wringing them out. What is coming out? Well that would be all those lovely emotions and feelings that you are having right now! This is a time when our feelings come alive and bubble up, things that have been secretly bothering us while we grin and say "I'm fine" things we bottle up are just as important to acknowledge as the happy joyful ones. When our frustrations heat up and we have had absolutely enough of someone or something. This is when our deep wounds are shown to us and where we need to change things in our life. Its never bad to cry, and its never wrong to have sadness, anger, or frustration. However transform your life from these powerful little feelings and messengers releasing from your soul right now! We are all being confronted with our darker side or wounded side and that is a blessing. As this comes up and starts to release you may feel like you are truly moving backwards because we do regress some or have regressed some this past month, the end of November took us a few steps back into our pain and suffering and we are somewhat drowning in the release of it all right now. Don't mean to sound depressing but it is a time of deep soul healing. We are letting go or trying to let go of parts of ourselves that we have found so much comfort in...I even made myself my favorite comfort foods as my release came up...and resorted to making a casserole my mom used to make when I was a child which I haven't ate in years...so I'm right there with all you in this. Just because I get information and do healing work on others doesn't mean I have done all my work, I always have something to improve, I am actively feeling this with you and have compassion for those in the hardest situations right now. We are experiencing the growing pains of becoming more evolved. We thought the ascension process was going to be easy....ha! It has its highs and lows thats for sure but most of all is that we must stay steady, wait out the storm, never give up! Each moon will peel back layers for you and with your own desire to be greater it will reveal what you are not. In this you find the release. We are all working on becoming brighter and lighter and we are feeling the heaviness of the world and what we have created. You will make it through these emotions and come out free as a bird but it is a process. This month of December brings so much emotion and energy up that you may find it very hard to do your normal christmas things. We are all going into a deep state of transformation and hibernation and if you haven't tried energy healing I truly suggest you do this month! Just to help you clear out what's coming up and stay centered, or else it will be coming out at all those around you! Oh and did I say sensitive? I forgot to mention our increased sensitivity next year! Holy Shift in our abilities like telepathy, clairaudience, and intuition! So everybody take a deep breath in .........we will get through this and its necessary for us to make the changes in our life we need to make. This should push you to the next step, mainly because you have had enough of the past patterns! Looking forward to connecting with you again soon and if you are desiring a space to help shift this energy check out the upcoming soul transformation retreats on the site. Full Moon in Capricorn and with the Sun in Cancer. These last few days may have made you feel a little irritated or easy to get agitated, not because of other people but because of yourself. Our own stuff makes us moody and the last few days has brought deeper patterns to the surface and I'm sure you noticed them. Its kinda of impossible not to notice whats there trying to release from your consciousness right now. You may feel down that you still have any old patterns at all...but as they surface more and more they are easier to see, recognize and choose a better response. We are also witnessing a purge of energy through our energetic bodies and we see it as it comes up to release so don't get too down on yourself or any situations as it is part of the process to release these old energies for good. This moon is getting to the deeper stuff that has been in the way for the major breakthroughs. Its like the rock that finally gets unstuck. We can see ourselves a little clearer and where our hang ups are. I was getting pretty irritated the other day and I could clearly see it was me and my pattern. Made me more frustrated that I could see it so clearly! LOL We are processing a lot right now. This moon has us sitting in a space where we can get to the bottom of who we are and what we need to let go of to get there. What do I want...who am I ....why am I here...what is going on....where am i! Its a little confusing here and there's nothing to hang on to. We have to trust and be willing to see ourselves and where our own short comings are and let those go! Where we are afraid we need to walk and where we are resistant we need to embrace. Life is moving along with or without us...so we have a choice to let go move on or stay in our safe place. You may have wanted some alone time or space with all of your energies flying around. Taking time to reflect and feel, allowing yourself good sleep and rest to allow your body to move out whats not serving you is good. This moon gives us that deeper push into what we really need to do in our life, what do we really need to change? It will help you move that block so you can sincerely move forward. Although very hard something very necessary in your life needs to be let go of and I'm sure you know what that is! Truth about your relationships will be clear and how you really feel about them and the situation. You will see where your heart is and most likely choose to follow that path. Clarity on different levels is pushing through the layers to penetrate deep into our consciousness and we are needing these energies to be strong and resilient to walk our paths. Some of us have been scared to jump into our next journeys and its because we don't know what will happen! And some of us can see glimpses into the future and that scares us too! Its all okay! Life is moving and we will be severely uncomfortable if we ignore the things coming up this full moon. Suffering is something we are creating not what the universe wants for us. The suffering comes in us not changing or holding on to the past. When will we see that change and growth is for a better life? Let the emotions pass and go for it. You know what you need to do. Its only up from here! What are you waiting for...things hurt and are painful but not forever. Whatever is lost or leaving you brings the message of new growth and new beginnings. Release whats blocking you from being happy and brilliant and get on with your beautiful life. It's a time of Miracles! New Moon ⭐️ today. Wonderful shifts going on for the world and you as well. May we remember why we are here—to be conduits of higher consciousness—to serve what needs to be done in any given moment. When we are turned on and listening, open to serving we can create miracles everywhere we go. We are all asked to help but we all aren't always turned on. In our manifestations today may we also take a moment to ask what actually needs to be manifested for the whole and focus our intention on that. Our energy is powerful so plug in and be of service to manifest an amazing evolved place to experience being human. We ask god/universe for a lot and when in alignment we do receive it but let's start to take it one step further today and ask What shall you have me manifest dear universe? What shall you have me do? See what you hear as a reply. And get to it!! You can create all you desire and also use your abilities to create for all. Full Moon in Sagittarius this Friday and although its a little cloudy by me at the moment the moon was fully ripe and bright last night when I went to bed. Closure anyone? We are officially closing chapters and embarking on the new ones. You may have found yourself able to feel some of the alignment happening with your own life by feeling into your heart center and noticing the happiness that stems from you setting forth on your purpose. We are being guided to look at our truth and who and what we really are. We have been challenged these past few weeks to let go of the wants that aren't really in alignment with our goals and dreams. What brings you closer to your purpose? your passion? Your goal? which takes you away from it? We are being tested a bit on what we have learned in past experiences and if we are going to repeat patterns or move to higher ground. This moon will bring an ending to karmic lessons world wide and individually we will check in with ourselves and see if we are still tempted to waiver. We are set out for an adventure and the universe wants to get us to where we need to go. All we need to do is tell the truth...to ourselves. Who are you really? Do you even know? What are you here to do? Have you even asked... The truth is simple and its through our struggles and trials that we uncover what it really is. I feel this moon has brought some relief and peace to us in that we can see our lessons and really be the observer rather than try another round in the battle field. I guarantee whatever has happened to you in the last few weeks and is surfacing now is one of your big, big lessons here to overcome. To see it, to understand it, to heal from it, and let it go for all eternity! For some of us its TRUST...do we really trust the process of life? for others its ACCEPTANCE can we accept ourselves and or the present situations, can we really accept that theres more than our perception and things are really working out? Are we angry? sad? hurt? scared? rejected? abandoned? guilty? impatient? Whats it for you? Can you see it now? We all have karmic energy releasing right now and its being cleared so we can set sail for the infinite! We are hopping aboard the Unknown and that is either super scary or by now if your on the tail end of this energy shift like I am kinda of exciting! Sagittarius wants the truth and to be free. Our emotions can keep us from traveling confidently on our journey or they can fuel us to never look back. I encourage you to venture out and explore your own heart. What in gods good earth is even in there? I'm laughing as I say that because the answer is "Everything." Be true to your truth and stand in the love of your own dreams and goals. We are here to manifest greatness and be the graduated warrior of our own story. What's your story.... Are you Ready? Set yourself Free.